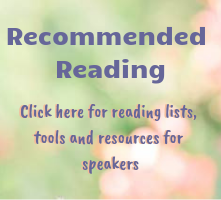 The shorter your presentation, the less time you have to persuade your audience. 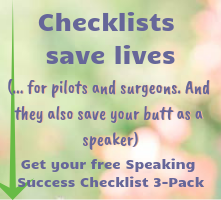 Clients tell me how stressful it is to be invited to speak for 20, 30 or 90 minutes. But I think the most stressful presentation is the 2- or 3-minute presentation! How do you persuade your audience to take action in two minutes? Can it be done? Yes! The key is to stick to the most pertinent details, the most critical points that your audience needs, wants and cares about. A short presentation doesn't allow you to fill the time with any superfluous material, so you have to be razor-sharp. 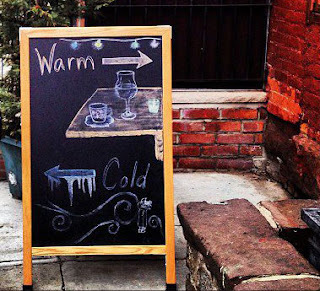 This chalkboard outside a restaurant in Brooklyn says it all: It's cold out there. It's warm in here. The drawing reinforces the pleasure of the inviting environment inside versus the dreadful climate outside. What more do you need to know on a blustery winter day? What can you say in 45 seconds?